There are two types of people in the world – those who love stationery and those who do not. We feel kind of sorry for the people who just don’t get it, but who are we to judge?! As you are reading this, we are confident you join us in the first category and as a fellow #stationeryaddict, you are very welcome here at Ryman! You have joined us at a time when we are gearing up to celebrate all things stationery as we welcome the return of National Stationery Week with open arms. 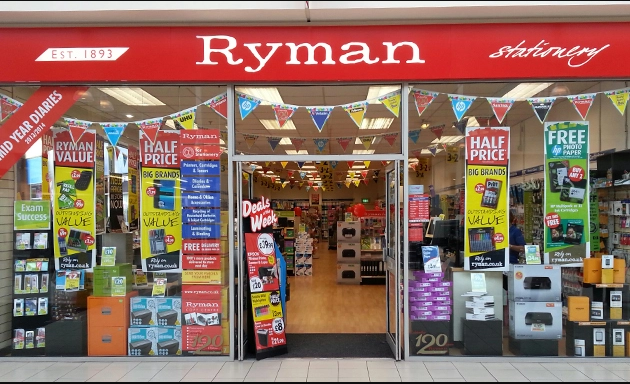 We are more excited than usual (if that’s possible) about this awesome stationery extravaganza as Ryman are the official sponsor of Pen and Pencil Day which takes place on Tuesday 30th. Are pens the UK’s favourite stationery item? Pens come top of the list in stationery surveys time and time again and is it any wonder? They are such trusty little sidekicks! They are the unsung heroes of our everyday lives. Hardworking, always by our side and here for us when our technology fails us (damn you, smart phone battery!). As official sponsors of pen and pencil day during National Stationery Week, we decided to delve a little deeper into our ever-faithful favourite pen to find out why it is the nations favourite. Left handers have a genuine love for ballpoints because they dry quickly and therefore smudge less across the paper. An average pen writes around 45000 words before running out of ink. That’s a lot of writing! The first ballpoint pen was invented by Laszlo Biro in 1938. Contrary to medical TV myth and legend, emergency tracheostomy procedures (trapped air waves) can not be fixed with ballpoint pens. Sorry to any disappointed Grey’s Anatomy fans! Buzz Aldrin used a felt tip to replace an engine switch on Apollo 11 after it malfunctioned. Without the trusty pen they would be unable to return to Earth! Yikes. Need to flash your handwriting but don’t have a fountain pen to hand? Wow your friends using the humble felt tip. Here’s how to hack your calligraphy with a felt tip or biro. Join us in our celebration of our inky side-kick for National Stationery Week (29 April to 5 May). As the official sponsors of Pen & Pencil day we have an incredible 3 for 2 offer on all pens and pencils (and erasers and sharpeners, too) from 24 April. That’s over 1,500 product lines so you’re definitely going to need a bigger pencil case! Time to refresh your dusty pen collection? We have some awesome 3 for 2 deals to celebrate National Stationery Week. We know you’re going to love these offers. Why not sign up to our newsletter? Be one of the first to hear about our fantastic offers. With free click and collect to your local store, free delivery on orders over £50 and thousands of lines to choose from you will find everything you need in our online store.